Below you fill find all funeral homes and cemeteries in or near East Wenatchee. Suburbs of East Wenatchee: E Wenatchee, Wenatchee. 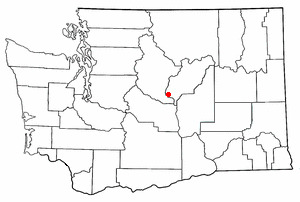 East Wenatchee is also known as: Douglas County / East Wenatchee city. Their current mayor is Mayor Steven C. Lacy. Zip codes in the city: 98802. Heritage Memorial Chapel was established in 2008. The name "Heritage" was chosen because of its meaning and the rich history of its location and its ownership. In the late 1950's through the mid 1970's our location served as Chapel of the Valley. Some of the notable people born here have been: Cherie Hankal (actor). East Wenatchee is a city in Douglas County, Washington, United States, along the northern banks of the Columbia River. The population at the 2010 census was 13,190, a 129.1% increase on the 2000 census. As of April 1, 2014, the Office of Financial Management estimates that the current population is 13,370.On November 10, 2002, East Wenatchee was designated a principal city of the Wenatchee−East Wenatchee Metropolitan Statistical Area by the Office of Management and Budget. It was disclosed by The News Tribune on October 31st, 2018 that Harols L Johnston perished in East Wenatchee, Washington. Johnston was 92 years old and was born in Lancaster, MN. Send flowers to express your sympathy and honor Harols L's life. It was disclosed by The News Tribune on July 13th, 2018 that Sonja Iome Yeager (Zamzow) died in East Wenatchee, Washington. Ms. Yeager was 81 years old. Send flowers to express your sympathy and honor Sonja Iome's life. It was revealed on May 16th, 2018 that Patricia "Pat" Key (Baenes) passed away in East Wenatchee, Washington. Ms. Key was 80 years old. Send flowers to share your condolences and honor Patricia "Pat"'s life. It was reported by The Herald on April 29th, 2018 that Janice Kay Williamson passed on in East Wenatchee, Washington. Williamson was 70 years old and was born in Yates Center, KS. Send flowers to express your sorrow and honor Janice Kay's life. It was disclosed by Ellensburg Daily Record on March 10th, 2018 that Cynthia Edwards (Arpke) died in East Wenatchee, Washington. Ms. Edwards was 85 years old. Send flowers to express your sympathy and honor Cynthia's life. It was reported by The Herald on January 11th, 2018 that Gailynne Elva Mathis passed on in East Wenatchee, Washington. Mathis was 73 years old. Send flowers to share your condolences and honor Gailynne Elva's life. It was written on January 10th, 2018 that Pearl Crossier (Webster) passed away in East Wenatchee, Washington. Ms. Crossier was 88 years old and was born in Branson, MO. Send flowers to express your sympathy and honor Pearl's life. It was disclosed by The Herald on November 11th, 2017 that Gailynne Elva Mathus passed on in East Wenatchee, Washington. Mathus was 73 years old. Send flowers to express your sorrow and honor Gailynne Elva's life. It was disclosed by Tri-City Herald on June 27th, 2017 that Catherine E Janosky (Hoffman) perished in East Wenatchee, Washington. Ms. Janosky was 101 years old. Send flowers to express your sympathy and honor Catherine E's life. It was reported by The Independent on June 21st, 2017 that Thomas Dale "Tom" Palmer perished in East Wenatchee, Washington. Palmer was 73 years old and was born in Portland, OR. Send flowers to express your sympathy and honor Thomas Dale "Tom"'s life. East Wenatchee is a city in Douglas County, Washington County, Washington, United States along the northern banks of the Columbia River. The bridge was the brainchild of W. This prompted local leaders to hasten to the state legislature to persuade the state to purchase the bridge as part of the state highway system. T. Orchards become the area’s leading industry. Rolen and wife, Joann of East Wenatchee, WA; a brother ... Arrangements are by Jones & Jones~Betts Funeral Home, Wenatchee, WA. Here are the results for funeral homes in East Wenatchee Washington. You can find some of the best funeral homes businesses serving East Wenatchee. Find a Funeral Home inEast Wenatchee, Washington WA to provide the caring burial and ceremonial services your family deserves. Listing all funeral homes in Wenatchee, Washington so you can easily send flowers to any location (same day delivery) or find any funeral service. We work with local florists and flower shops to offer same day delivery. You will find budget sympathy flowers in East Wenatchee here. Our funeral flowers are cheap in price but not in value.